How often can games be about war before it starts to lose its emotional impact? It’s a question I’ve personally grappled with a lot over the past few years, and depending on the game that’s making me consider it, my answer varies greatly. Sometimes it feels like we’ve lost sight of what made war games good, substituting the glimpses of humanity in between the fighting with cleaner kill-death ratios or technology that makes the battlefield more dynamic. Sometimes, though, games like Valkyria Chronicles 4 come along and remind me why there’s still so much more to do with grand scale combat settings. The cast is memorable and, once they power through their inital clichés, provide some much-needed character depth to the game’s already impressive tactical prowess. While the mechanics of the game alone would have been enough to make the trenches worth diving back into, the story and artwork make for a game that’s yet another strong installment for a series that never seems to run out of things to say about fighting tyranny and injustice. 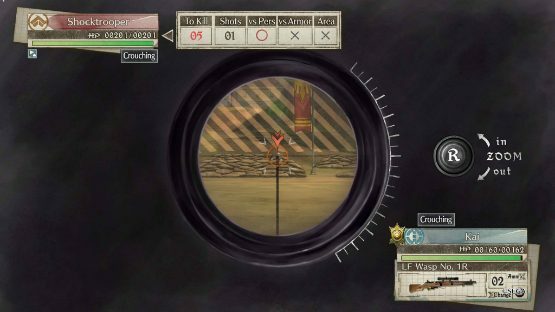 One of the first things that stands out about Valkyria Chronicles 4 is the adoration the game’s developers, Sega CS3, have for the tactical warfare genre. Nothing about the game feels like it isn’t being done without specific intent. The battlefield is deliberately laid out to cater toward different approaches to each problem, and sometimes even tempts players with an “easy” way out that evaporates mid-way through. That kind of risk-reward management can be frustrating when done poorly, but it is at its best here. That, coupled with the fact that player units can die forever if they’re lost in combat, means every maneuvering decision feels meaningful and more than a little scary. Each unit class feels distinct as well, with some of the ones I initially felt weren’t particularly useful having their chance to shine in later moments. On some maps, tank warfare is vital, so having Engineers out and fixing your side’s mechanical monstrosities can be the difference between life and death. Time sensitive missions might benefit from the quick Scout class. Having the ability to call-in reinforcements to cover for some initially poor planning is also helpful. With all of that being said, the new Grenadier class really throws things for a loop. It’s the kind of class that is immensely fun to play as, but is also pretty over-powered. Toward the middle of the game I actively stopped using Grenadiers so much because they were making missions too easy, with their long-range and strong firepower making mincemeat of some otherwise formidable armies. Still, for those who enjoy feeling invincible on the battlefield, the Grenadier is a welcome addition to a game in Valkyria Chronicles 4 that does ask a lot of its players’ ability to plan ahead. The combat speed is nice, too. Mixing between map-based positioning, JRPG-ish battle systems and some action game elements sounds like it would be clunky, but it really isn’t. Sometimes the pace of tactical games can feel a little too methodical, and the constant shift between tempos in Valkyria Chronicles 4 prevents that from ever being the case. If the combat of Valkyria Chronicles 4 is the foundation upon which a great game can be built, the story is the monument on top of that. I’ve always trusted this series to tell some interesting war-time stories that aren’t afraid to interrogate things outside the norm of the genre, and while Valkyria Chronicles 4 doesn’t do that with the same deftness as the vaunted original game in the series, I think what it gains is worthwhile. Trading some of the complicated politics for some good old-fashioned coming of age tales is a great selling point for a game concerned with how war changes us without those involved realizing it, and main characters Claude, Kai, Raz, and Riley all undergo some serious evolution over the course of the game. Claude is constantly at war with himself and with his childhood persona of Scaredy-Claude, a kid who fled the horrors of war and was somehow chastised for it repeatedly. Raz is a reformed bully attempting to grow while clinging to the naive belief he is invincible in warfare. Kai and Riley are both haunted by the deaths of loved ones, and need to relearn trust. They aren’t complicated stories, but they don’t need to be—it’s the way that war changes them and those around them, and how they respond, that makes them so interesting. That’s further compounded by the immensely satisfying cast of characters within Squad E. There’s a diverse cast of characters, including a trans individual, but none of them are presented like they’re defined by just their most noticeable first trait. Everyone has ideals and everyone grows, which is further amplified by the Squad Stories—sidequests that only become available as you field squadrons that feature people who like one another. Each Squad Story is both fun and insightful, and they are welcome breaks from the dreadfulness of fighting tyrannical warmongers. There’s a lot to do in Valkyria Chronicles 4, and none of it feels superfluous. On top of the main campaign and the Squad Stories, there are skirmishes that allow players to fight through tactical troubles for glorious experience and development points. The game lets players modify their squads combat abilities by assigning the collective experience to specific classes, leveling them up and making them better in combat while unlocking tactical commands or new character traits that make them deadlier. Development points improve equipment and tanks, and while they are straightforward at first, branches in development trees make for even more complex character refinement. All of this coalesces back into an answer to my initial question regarding the need for more games reflecting on warfare. I think part of what makes this game so appealing is that it never feels like war is there to indulge in some tone-deaf violence or grand philosophical posturing. War comes to Europa so that our heroes can grow, and so that we can reflect on why they had to change into who they were because of the senseless violence. 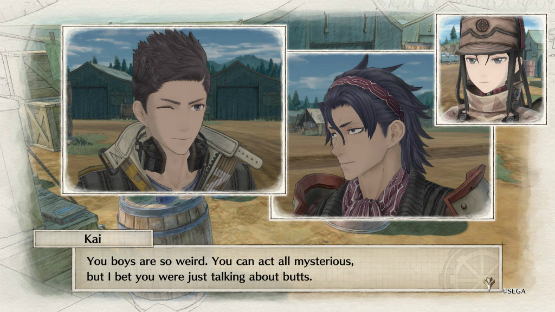 Valkyria Chronicles 4 is an excellent game, compelling in both its character roster and its gameplay. While it runs adjacent to the original Valkyria Chronicles, its contrasting of the Second Europan War with multiple coming of age stories makes it powerful in its own right. These types of games aren’t necessarily for everyone, but if you’ve ever had a passing interest in tactical games, Valkyria Chronicles 4 is a wonderful entry into the genre and the closest thing we’ve ever had to a true successor to Valkyria Chronicles. Valkyria Chronicles 4 review code provided by publisher. 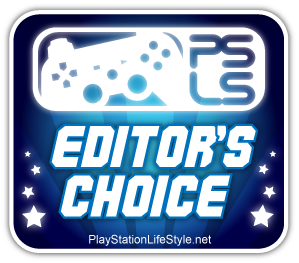 Version 1.00 reviewed on a PlayStation 4 Pro. For more information on scoring please see our review policy.